1. Network and find references. 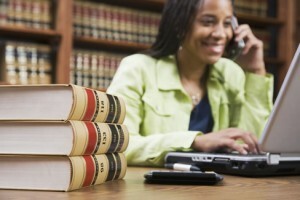 As in most white collar industries, getting a job in a legal field is often more about who you know than what you know. If you are willing to meet new contacts and make introductions, you will likely be surprised at the number of people who can connect you with influential lawyers in your area. Cultivate relationships with your law professors, lawyers that go to your church, lawyers living in your neighborhood, and even attorneys your parents are friends with. 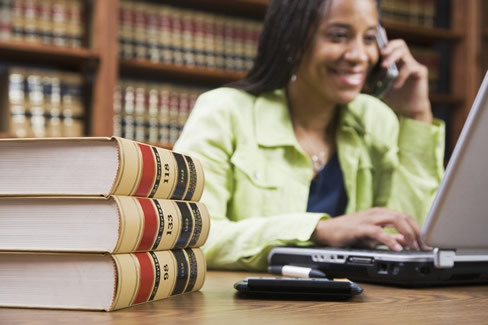 These people can connect you with other lawyers at other law firms, and they may be willing to provide references. 2. Be formal and personal. If you get an interview and feel that it went well, write a thank you card; not an email or a phone call, but a formal and personalized card thanking the interviewer for taking the time to speak with you. This will make an impression on the interviewer and have a positive effect on your candidacy. 3. Be willing to start at the bottom. If you consider yourself too good for a legal temp position or a position as a runner, you are only hurting your chances of getting hired. Take any position you can get in the legal world, if only to get a foothold that will enable you to climb to a better position in the future. By simply being a presence in a law firm, you can make connections and raise your chances of getting hired for the next job opening. 4. Consider volunteering. If you don’t get your dream job the first time around, do some volunteering at a local law firm while working a position that pays the bills. Like taking a lower-prestige job, this makes you a familiar face with the attorneys and will ensure your name comes to mind when considering candidates for new openings. 5. Use a staffing agency. Many law firms hire temporary workers from staffing agencies, and often times these temporary agents are hired on as permanent staff. If you are interested in being a paralegal, a clerk, or some other non-lawyer position, get in touch with a local staffing agency and explain your job interests and aspirations. They will be able to put you into a position with a firm that suits you best. To talk with a staffing agency today about getting a job in the legal industry, contact Symphony Placements. We serve companies in a wide variety of industries, including legal, clerical, HR, and more.